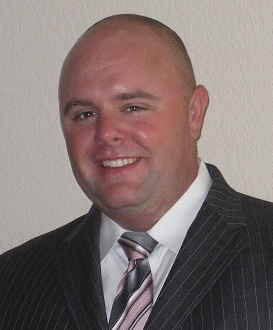 Alpha Omega Wireless, Inc. ("AO Wireless") has recently brought into its team Jared Wasowicz as its new Central Region Sales Manager. Jared comes to AO Wireless with a diverse background in wireless technology. Jared's skillset in the wireless industry comes from working with a large internet service provider (WISP) for over 6 years where he worked on solutions for the enterprise and events space. Jared also has an accomplished career in IT services dating back to his role as an IT Director of a midsize company. This allows Jared to understand both the integrator side as well as the client's needs. Jared is passionate about placing the customer first, while ensuring a memorable experience in every stage of the project. Jared's role is to make sure that our client partners get the best possible wireless solutions, whether a point to point wireless backhaul link (either a licensed microwave or unlicensed Wireless Ethernet bridge), a point to multipoint WiMax / Mesh, or a high density Wi-Fi network meet the highest predictable reliability and performance. President Joe Wargo says, "We are excited to have Jared on board. Our biggest need in our growth strategy is just letting potential client s know we exist so we need more of a sales presence across the nation. We already can deliver the best wireless solution captured to any other Wireless Integrator. We just need to have more representation for our potential clients. Jared has one of the best work ethics we have found and we know he represents the core values of AO Wireless. As Alpha Omega Wireless continues to grow we need to make sure we have the right people on board and that we have them in the right position. Too often companies don’t invest into its leadership. Jared will be a huge asset in making sure, as we grow, we grow properly. 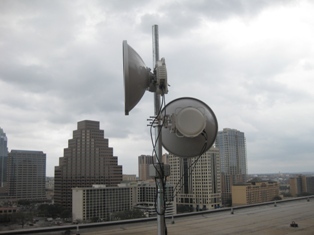 Alpha Omega Wireless is an experienced integrator of broadband wireless network technology and complete end-to-end wireless backhaul solutions. We provide a full range of point to point wireless backhaul, point to multipoint wireless bridges, WiMax backhaul, LTE Networks, wireless mobility, wireless repeaters, Smart Grid wireless backhaul, indoor, outdoor, and municipal Wi-Fi, DAS - Distributed Antenna Systems, DC Power Distribution, and wireless mesh products and services. 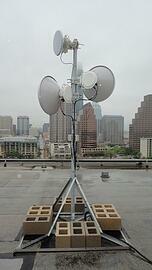 Alpha Omega Wireless, Inc. ("AO Wireless") has recently been added to the Texas State DIR contract. AO Wireless is now listed under the DIR Contract (DIR-TS0-4021) providing a complete range of wireless networking products and solutions. 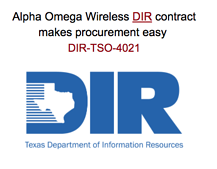 Agencies that utilize the DIR Contract system for the procurement can now partner with Alpha Omega Wireless, Inc. for all their wireless networking needs and solutions. Under DIR-TSO-4021 AO Wireless can provide products from Siklu, Radwin, Siemens, Cambium, Xirrus (Riverbed), ICT Power, Alcoma, and more. AO Wireless' DIR contract also include services related to engineering, design, and installation services related to wireless networks. President Joe Wargo says, "We are excited to have our wireless solutions and offering on the DIR Contract. Alpha Omega Wireless works a lot with government (City, County, and State), along with Education and Utility organizations. Having a qualified procurement vehicle makes it more effecient for our clients to get the products and services they need. Now we'll be able to provide more value to our clients while saving them time and money. The Department of Information Resources (DIR) provides statewide leadership and oversight for management of government information and communications technology. DIR has served in a leadership role to facilitate the state’s economic competitiveness through its ability to deliver quality information resources commodities and services at the lowest prices and best value for state and local government as well as the K–12 public and higher education systems. 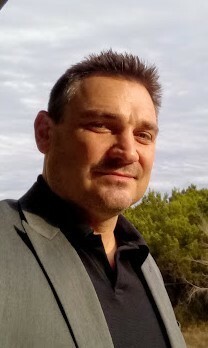 Alpha Omega Wireless, Inc. ("AO Wireless") has recently hired on Kelly Ice, a seasoned Sales Executive to expand and grow the company's customer and revenue base. Kelly will be the Business Development Manager for the Central Region and is based out of Austin, Texas. Kelly comes to Alpha Omega Wireless with over 10 years of sales and account development experience as the Business Development Manager for the central US region. Prior to joining AO Wireless, Kelly served as the reigning Account Executive of the year for the largest digital custom publisher, where he oversaw the Central US and International Regions. Kelly has also held positions as a Senior Account Manager for Dell and an Account Executive for Solarwinds. Kelly is known for building strong customer relationships and a loyal customer base. Kelly brings extensive knowledge and experience in customer development and growth. Kelly, in his previous Account Executive role, successfully transitioned 93% of current and 100% of new customers to a new level of digital technology that was thought unlikely only a few years ago. Kelly’s role at Alpha Omega Wireless is to expand our expertise into new verticals and areas never sought before in the central US. Kelly will help us provide our clients with wireless backhaul solutions, to include: point to point wireless (both unlicensed wireless Ethernet bridges and licensed microwave), point to multipoint wireless bridges, WiMax, Wireless Mesh, Indoor and outdoor DAS and Wi-Fi systems, and Video surveillance solutions. Kelly holds a Bachelors of Business Administration with a major in Marketing. He lives with his wife and two children in the Austin area. President Joe Wargo says, "We are excited to have Kelly as part of the team. He brings a lot of experience to the organization. He has extensive background in government procurement and statewide contracts. We believe Kelly will be able to help us exceed our growth goals, helping us to hire more people and expand into more geographic locations."